Home > Recent > Could Too Little Salt Damage Your Health? It’s well-known that eating too much salt can damage a person’s health by causing high blood pressure, giving rise to a myriad of health problems. However, it’s perhaps a lesser-known fact that the opposite dietary move – under-consuming sodium – can also potentially be bad for you. In a similarly counter-intuitive way, athletes have been known to die from over-ingesting water (over-hydration), so perhaps this shouldn’t come as much of a surprise. Nevertheless, it does indeed seem that one can have too much of a good, low-salt thing. In both cases, the unfortunate person is unintentionally damaging their health while suspecting their intake is nothing but good for them. But it’s important to know how salt helps your body to function, and why it’s such a vital component of a healthy, balanced diet. 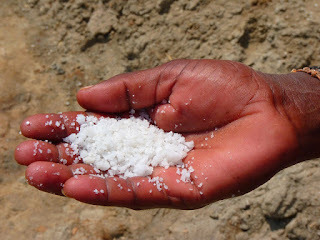 Salt is a crucial electrolyte: a substance present in the blood which, according to Livestrong, ‘maintains proper water amounts in your body, balances blood acidity, allows for proper muscle action, and allows other important processes to occur.’ Some also claim sodium is an antihistamine and aids good sleep – although such claims are harder to verify. A 2015 study in Circulation Research considered the results of 300,000 subjects’ reactions to salted foods in their diets. It highlighted the fact that there are various ways in which too little salt is damaging to our health, and was unique for asserting a higher than expected recommended daily allowance. It built upon groundwork laid by a 2011 study in Metabolism, which asserted that too little salt increases insulin resistance – which can cause increased blood sugar and, ultimately, Type 2 Diabetes. Moreover, in a similar 2011 article in the American Journal of Hypertension, researchers found that people with existing heart problems were more likely to experience heart failure if they tried to alleviate their health problems with low-salt diets. Again, this might be considered counter-intuitive, given that it’s generally understood that the opposite should be the case. A possible blanket-term for health problems related to low levels of salt is ‘hyponatremia’, which is essentially defined as a condition wherein too little sodium is present in the blood. It can occur if you drink too much water, especially during sports, and can cause headaches, nausea, weakness, muscle aches, fatigue and cramps. However, perhaps the most pertinent thing to consider is: how at-risk are we? 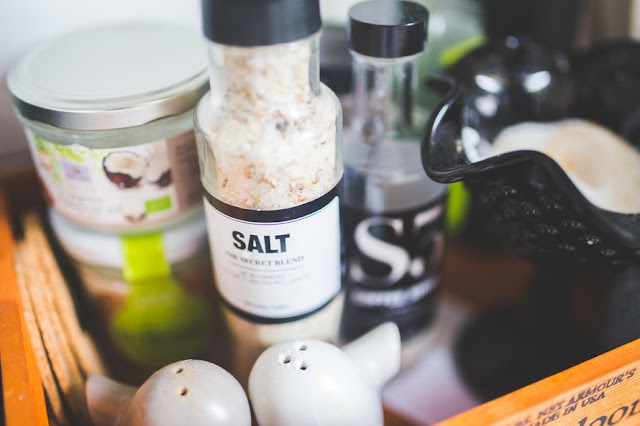 Well, it’s worth mentioning that, firstly, the above studies are debated widely – and more resources tend to be put into tackling the far more common health problems associated with over-eating salt. What’s more, it is actually quite hard to eat so little salt that you develop health problems. Salt is present in so many different foods that it is generally hard to keep track of how much you are eating, simply due to its apparent omnipresence – and, quite rightly, we are more aware of the fact that we should be vigilant not to over-eat salt than we should to avoid under-eating it. So, overall, the important thing is to consume roughly the recommended daily amount of 5 grams per day. However, it’s also important to be aware of the fact that such health advice does not mean that one should cut salt out of their diet altogether. The stuff has health benefits, and is also generally agreed to be necessary for warding off full-blown illnesses – although the exact problems one may encounter from under-eating salt seem to vary, or at least are subject to debate. So, eat salt, love salt, and spread the word: all things are good in moderation.